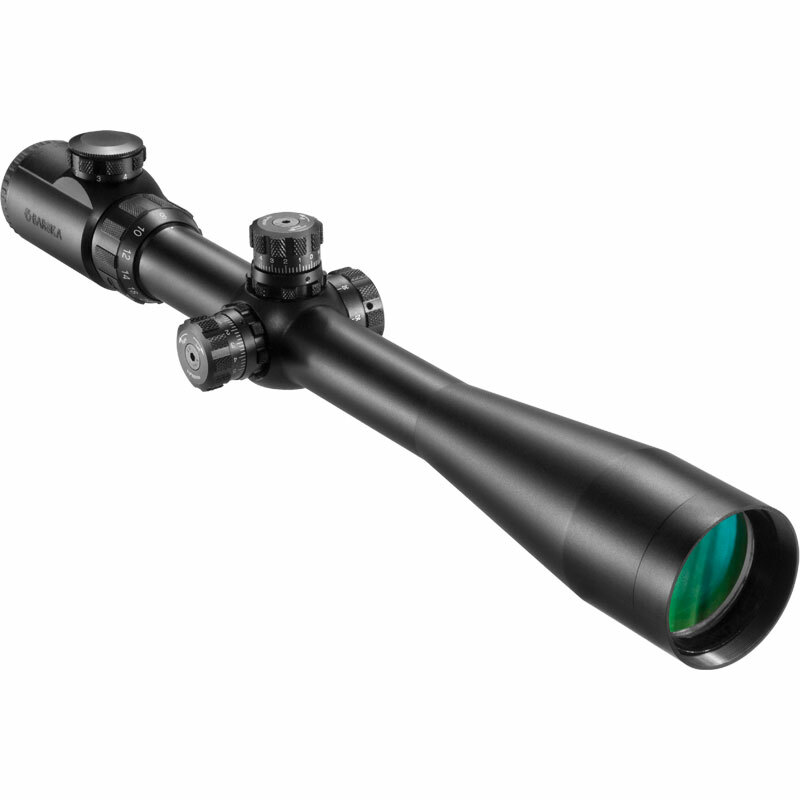 Built to operate under the most demanding conditions, the SWAT Series of Barska riflescopes delivers premium performance at extreme distances. 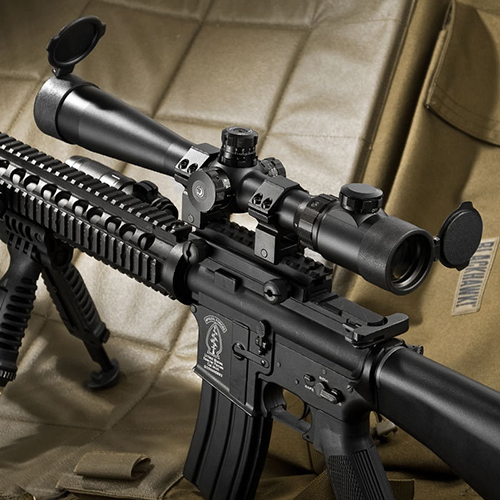 The SWAT 6-24x44 IR scope features advanced multi-coated optics for an extremely clear view, and an adjustable illuminated Mil-Dot reticle keeps you on target in any lighting situation. The 30mm monotube construction allows for greater light transmission and provides the scope with a shockproof construction. 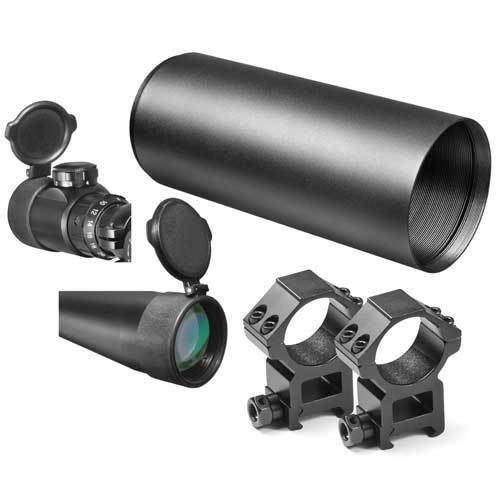 The SWAT 6-24x44 IR scope is fully waterproof and fogproof, and comes complete with 5/8" high see-through rings, 5" sunshade, and flip-up scope caps. Backed by Barska's Limited Lifetime Warranty. 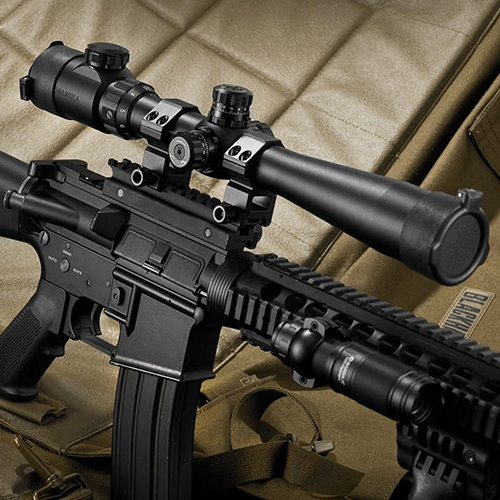 Barska's new 3rd generation of SWAT Series riflescopes offers outstanding performance, impressive features, and rugged construction to make them an unbeatable deal. 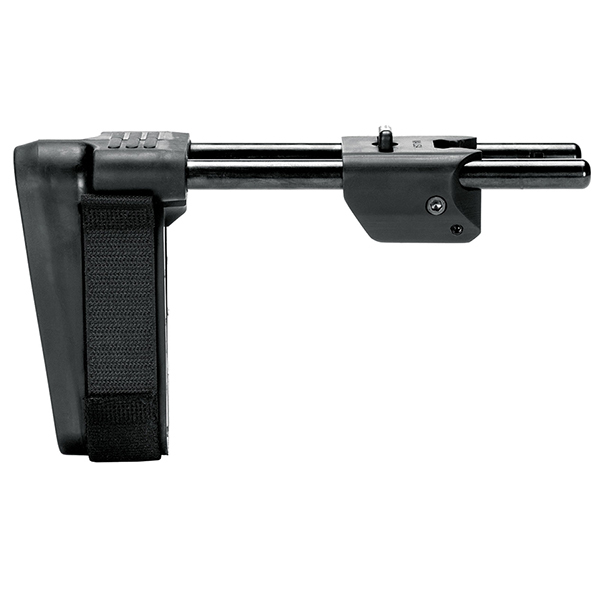 Precision targeting is achieved with the SWAT's fast focus eyeball, zoom magnification ring, external easy-grip windage and elevation adjustments, and a side mounted parallax adjustment turret. The 30mm monotube allows for enhanced light transmission which creates a brighter, clearer image for the user. Turret adjustments can be locked into place by tightening the locking ring at the base of the turret. 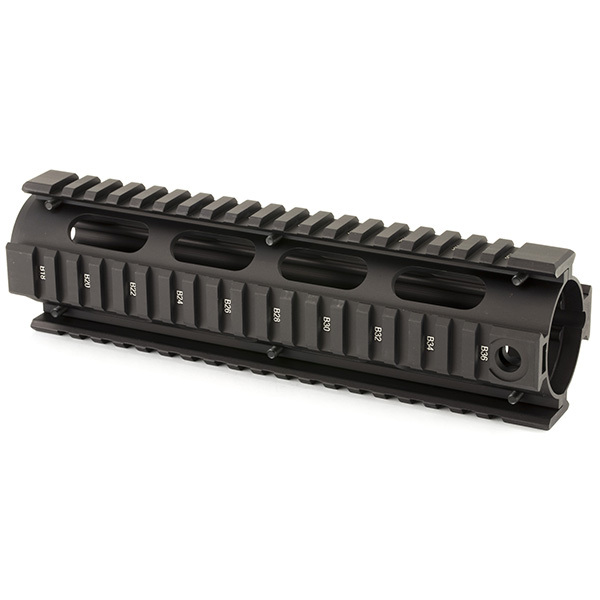 The solid construction of the SWAT's monotube makes this scope extremely durable, and is high impact rated to handle repeated abuse. The fully multi-coated lenses will give the user perfect clarity for viewing distant objects, whether they are still or moving. 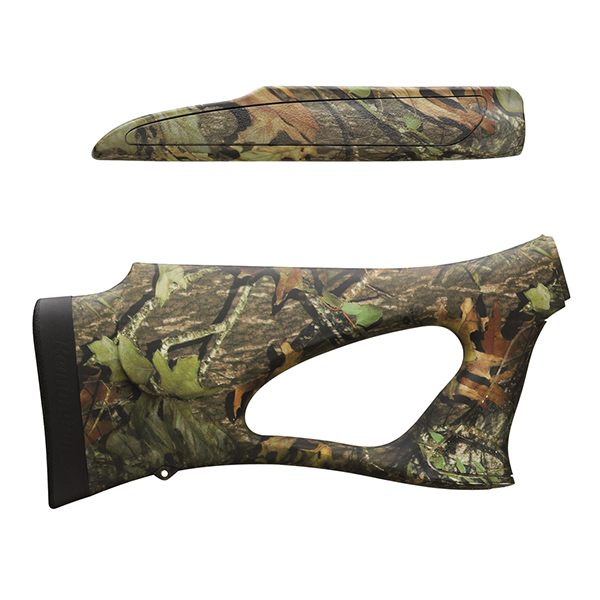 These fully multi-coated optics also offer protection against the sun's UV rays as well as enhance light transmission. 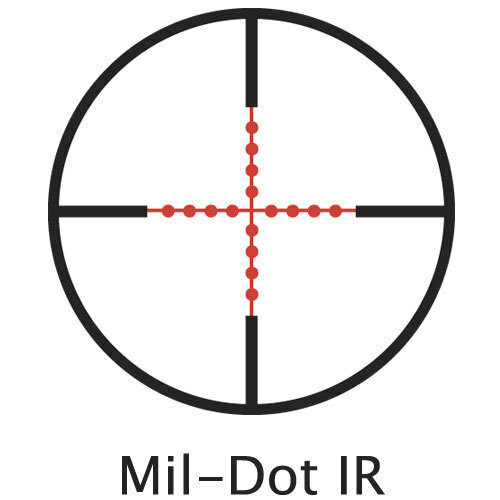 The red illuminated Mil-Dot reticle further enhances the scope's versatility by providing 7 levels of brightness, which can easily be adjusted by turning the rheostat. 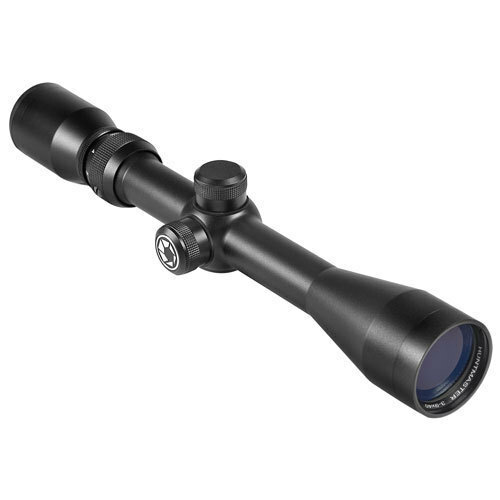 The SWAT Series of riflescopes also come with an attachable 5" sunshade, which helps to significantly reduce glare. 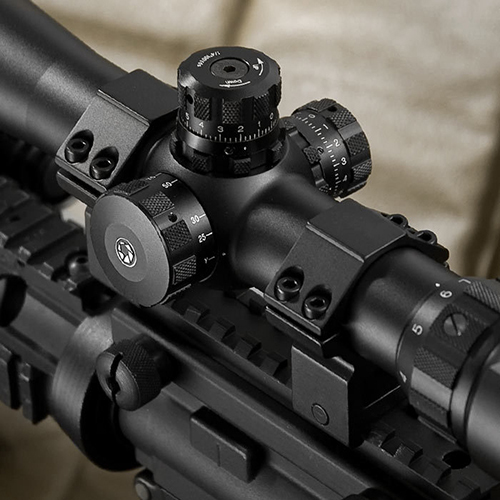 Every SWAT Series scope is dry nitrogen purged and o-ring sealed, which will prevent fogging inside the scope and offers waterproof protection. 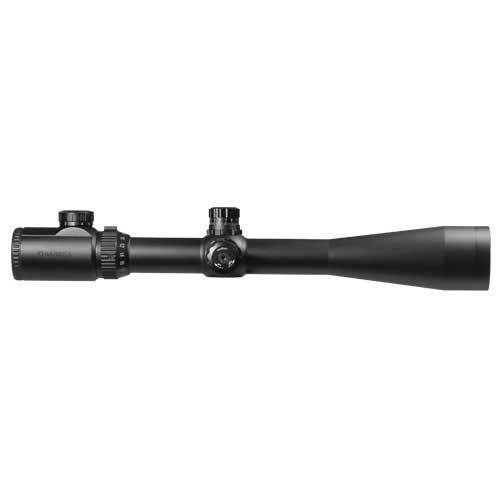 The SWAT Series of riflescopes comes complete with a set of 5/8" high see-through rings, as well as a 5" sunshade to protect against glare. Included flip-up scope caps protect the lenses from dirt and dust. Backed by Barska's Limited Lifetime Warranty.